Just a little peak at how great families were run. Here's an insight on the great Quah Family and how they created a family of football players. SINGAPORE - Former Malaysia Cup favourite Quah Kim Song will be launching his book at the Singapore Writers Festival on Friday. Entitled the The Quah Kim Song Story, the 148-page book, which will go on sale for $18.60, shares the story of one of Singapore's most popular footballing sons. 1. 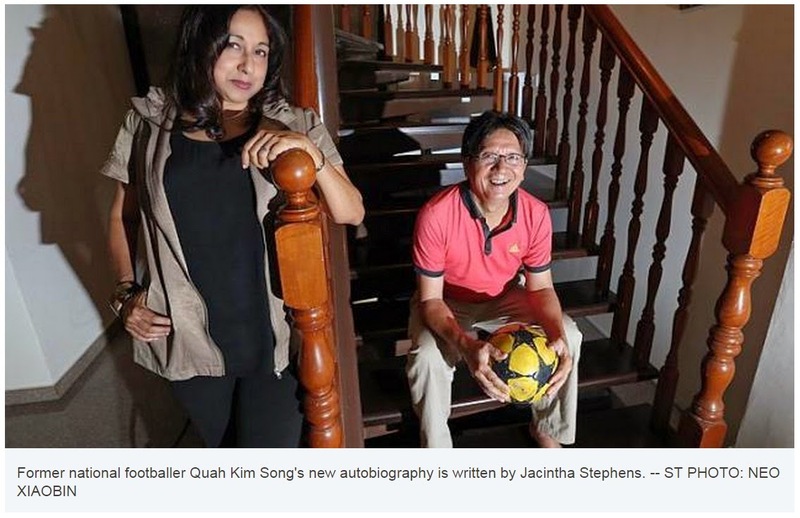 Quah Kim Song, now 62, is the most famous footballing son of Singapore's premier sports family. His parents worked and lived at the Sembawang Naval Base, where they raised 11 children. In the 1950s and 1960s, each British warship had a football team and there was a dockyard league of nine British sides and a local team called the Asian Selection that played at the Deptford Ground, a field off Admiralty Road East. The Quah boys honed their skills playing against the British. 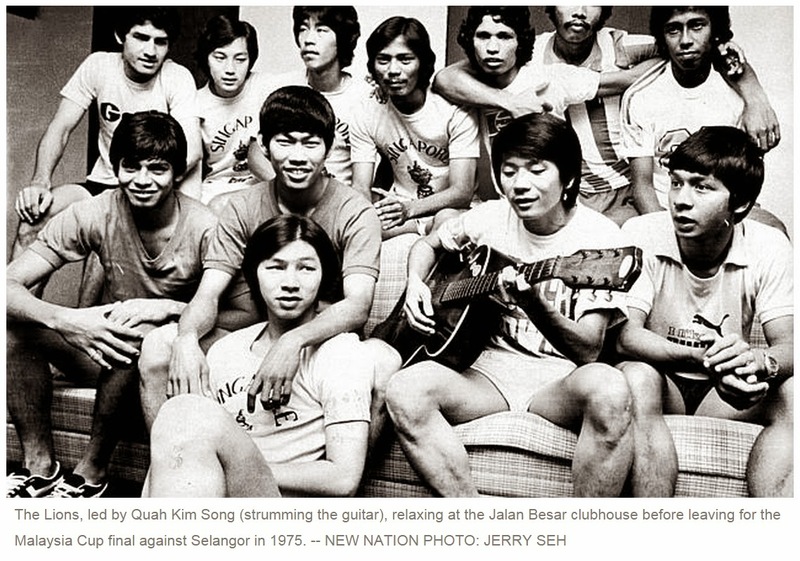 Six sons went on to play football for Singapore - Kim Beng, Kim Choon, Kim Swee, Kim Siak, Kim Lye and of course, Kim Song. Sisters Theresa, Doreen and Rosa also played for the national women’s team in the 1960s. Youngest brother Kim Tiong was a 400m runner who won a gold medal in the 1975 South-east Asia Peninsula Games. 2. 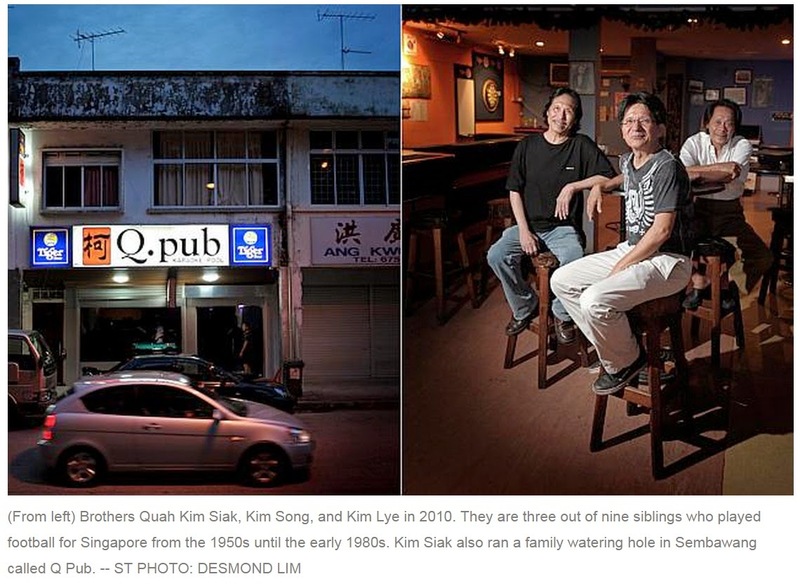 Kim Song's late elder brother, Kim Siak, used to run a watering hole in Sembawang called the Q Pub. It was the scene of many family gatherings, especially for the birthday celebrations for matriarch Lau Ah Noi, who died in 2008 at the grand old age of 99. 3. He was arguably the biggest star in Singapore's star-studded side in the 1970s. The multi-racial team, from Eurasian goalkeeper Eric Paine to Indian free-kick specialist S. Rajagopal to Malay idols Dollah Kassim and Mohamed Noh, won over the hearts and minds of the country. And the players had signature skills - Rajagopal thrilled with his banana kicks, Dollah earned the "Gelek King" nickname for his body feints and Kim Song was famous for his speed and diving headers. But arguably the most exciting of the lot was Quah, who reportedly piqued the interest of English club Everton. 4. 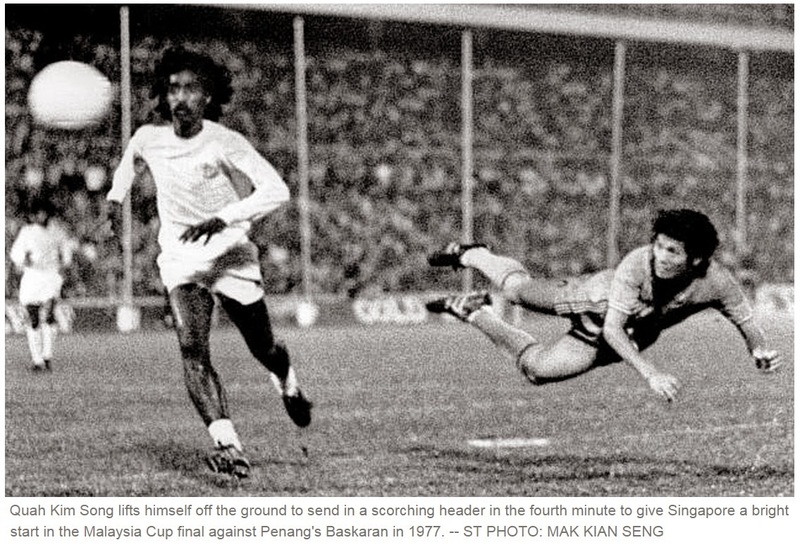 Kim Song's role in the victorious 1977 Malaysia Cup campaign is immortalised in local movie Kallang Roar. The 2008 flick, which cost $1 million to make, retold the story of that historic season. The man who played Kim Song's character was none other than his son Leon. 5. 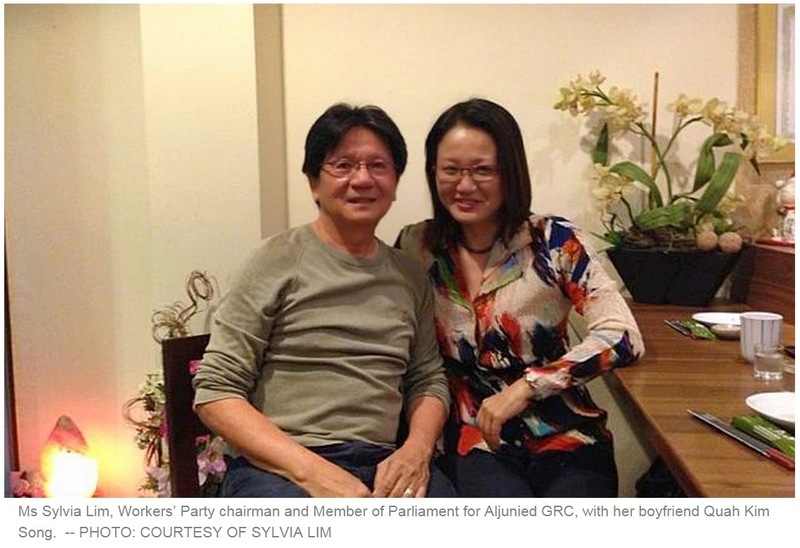 Workers' Party chairman Sylvia Lim went public with her relationship with Kim Song last August. The ex-footballer was invited to a WP variety show, where he went on stage to sing the Simon and Garfunkel hit El Condor Pasa and he invited Lim up on stage to dance. Kim Song is a widower whose wife, Shirley, died of cancer.